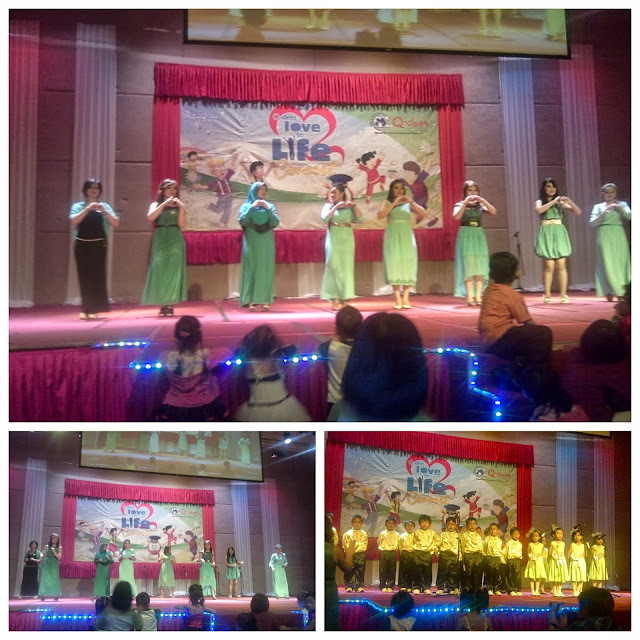 One of the mothers' proudest moment is to see their kids performing on the stage in front of few hundreds people. I think that every mom feel the same, it's not 100% because of their performance or their talents, in fact, when a group of kids at the age of 3 or four are performing on the stage, their movements are not uniform but what makes the mommies proud is the confidence, courage and braveness that shown by their kids. I am one of the grateful woman who proud to share such beautiful moment. 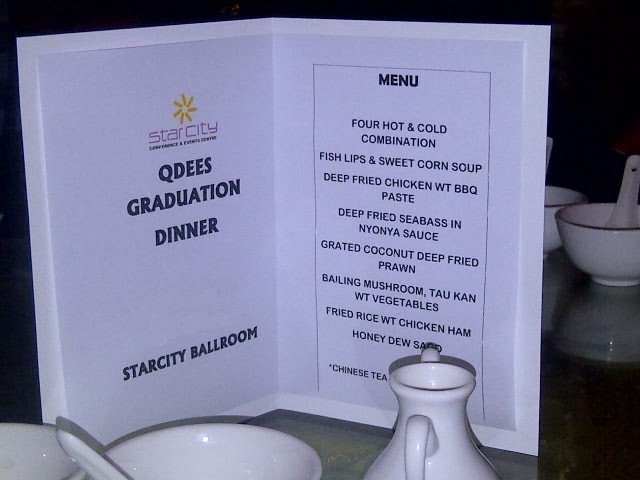 I attended the Q-dees' Graduation & Concert Night at Star City Ballroom this week and it was very grand. 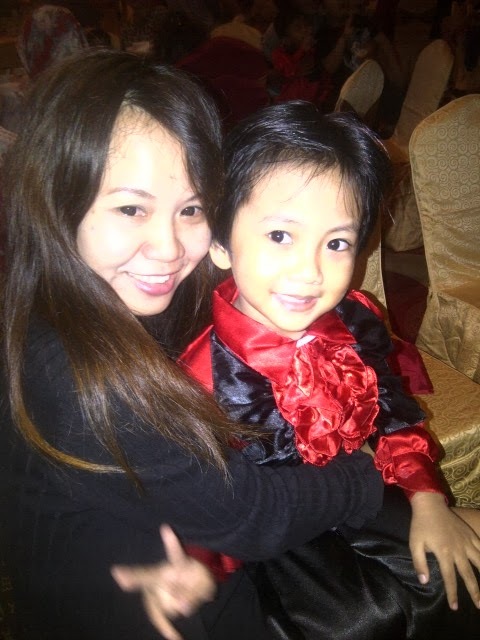 The ballroom was occupied by approximately 600 people, it's quite number of people as there are 3 Q-dees pre-schools in Kota Kinabalu. 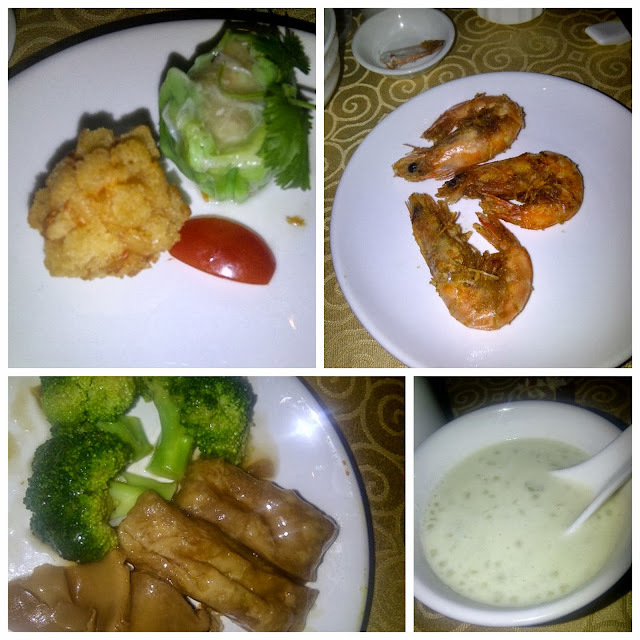 I only ignored the rice, it didn't look attractive as I was too happy with the prawn hehehe confession! The ladies in group are Pocoyo's teachers, they had a wonderful performance. Everytime when the kids were up on the stage, the MC will instruct them to bow: "1, 2, 3 bow.."
And we were laughing badly when the MC jokingly instructed the teachers to bow together like the little kids before they started dancing, wakakaka!!! It was funny. The kids in yellow costume were performing choral speaking. They talked about saving the earth and the message was really clear. I'm so proud of them, this was one of the performance that I really paid attention to. "We only have one Earth and we must save it"
Btw, have you ever imagined a group of 5 year old kids doing choral speaking for approximately 10 minutes? They memorized each of the words and non of them made a mistake. Amazing. 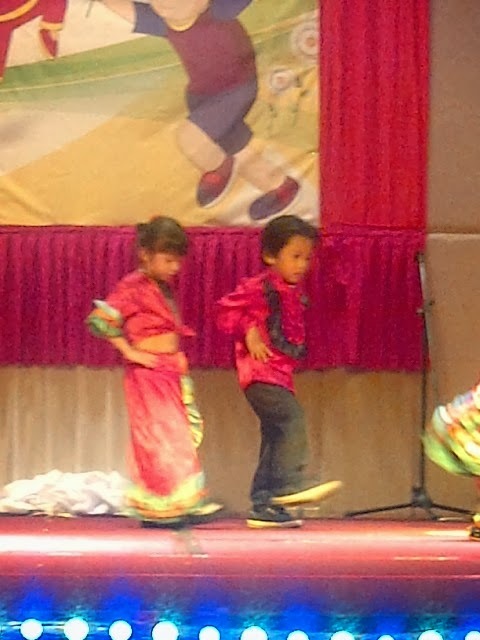 That's Mr Pocoyo, he was on the stage performing the Mexican Dance confidently. Congratulations! Your boy is so handsome with lovely eyes that can electrify gals! Some parents may complain that the function was too extravagant and costly but I think it is good for them to value this memorable day in a nice ballroom and serve course meals. Everyone was proud and happy like you. Get to see nice performances and eat at the same time! 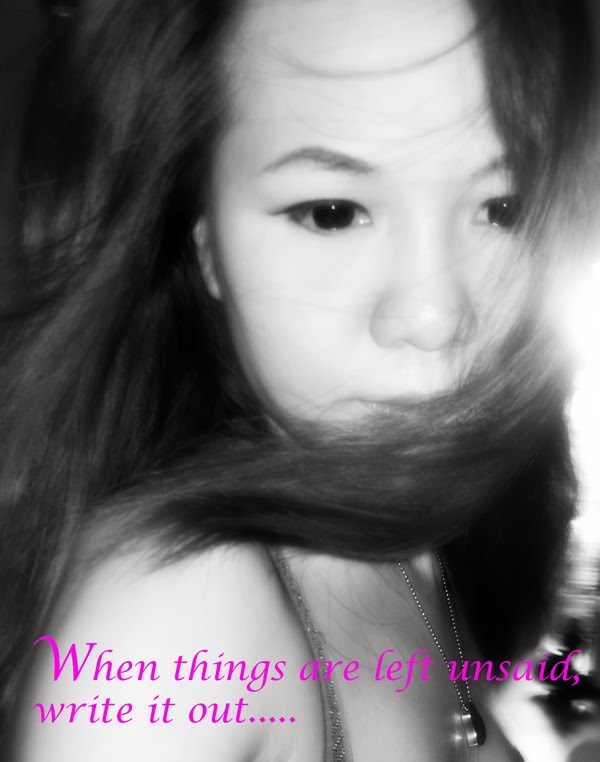 Oww...i tot u still lady. gk ngerti gk apa bro! Makasih sudi mampir lol! 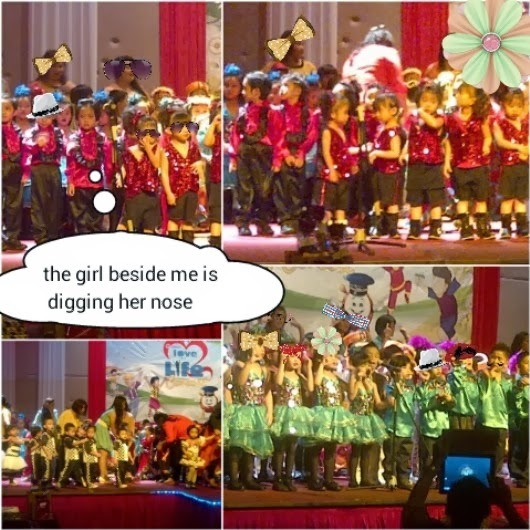 yep, agree with u. it's indeed the proudest moment seeing our kids performing on stage. Grand owh the concert.. I know you could feel it too Just!!!!! Moms share the same instinct kan? I would be proud too. wah ganteng banget anaknya mbk. Makasih sob.. semoga web desain bisnes mu maju ya! !